I'm trying really, really hard not to get started collecting little miniature villages and buildings. 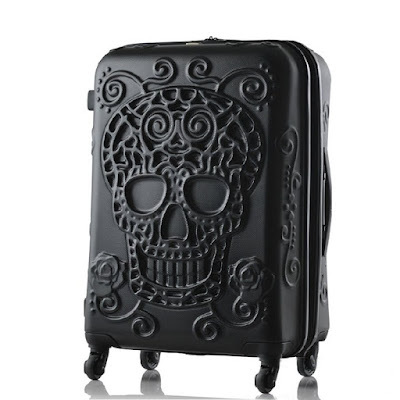 I already own enough cluttery crap in my house, and already spend enough money shopping as it is. But how can I help but be tempted by the glorious, macabre and interesting Halloween Snow Village buildings from Department 56? 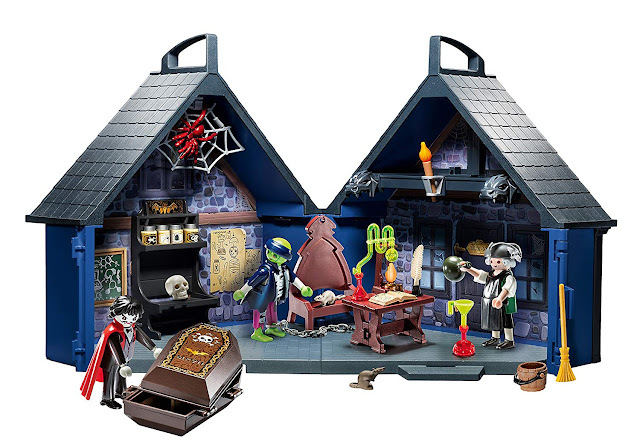 When I see this cute "Hilda's Witch Haunt" house, I wish these were little dollhouses that you can open up and put furniture in (rather than hunks of ceramic). I'd love to play with this, making a tiny witch doll go about her daily witchy life, feeding her little black familiar, storing her broom in the broom closet, and retiring to bed in her little attic bedroom with a good spellbook. 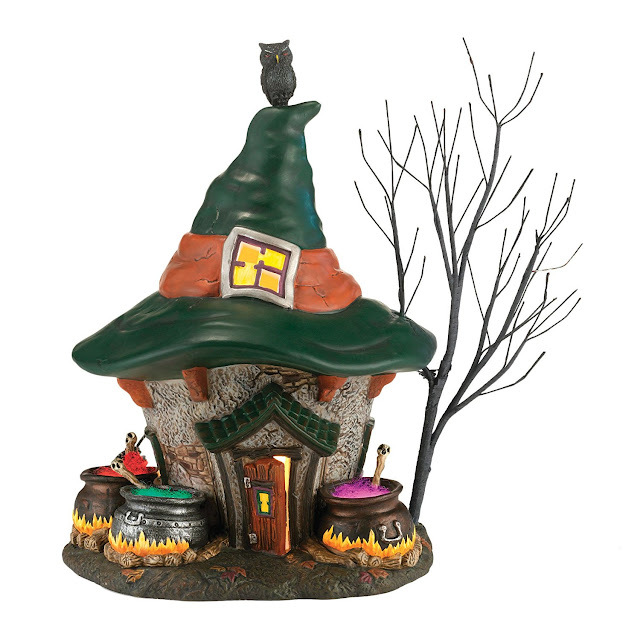 This is the "Three Witches Cauldron" house. I wonder if the witches who live here are sisters, or a a maiden mother and crone, or just witchy friends? 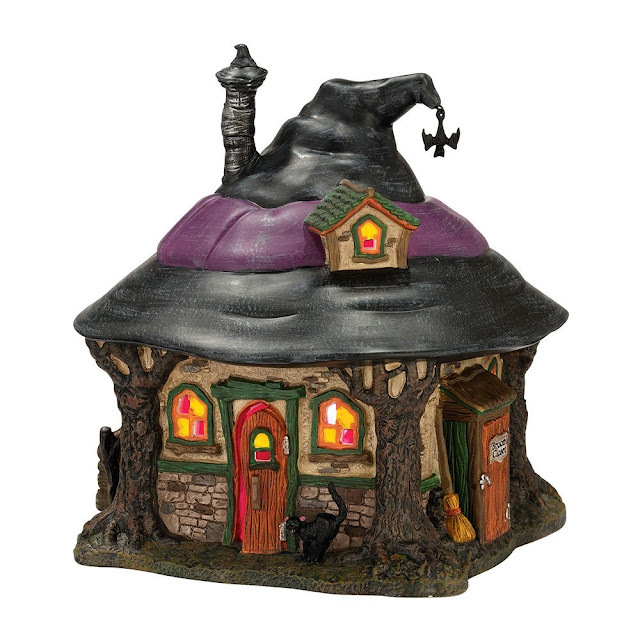 I love that the roof of the house is shaped like a witch's buckled hat! 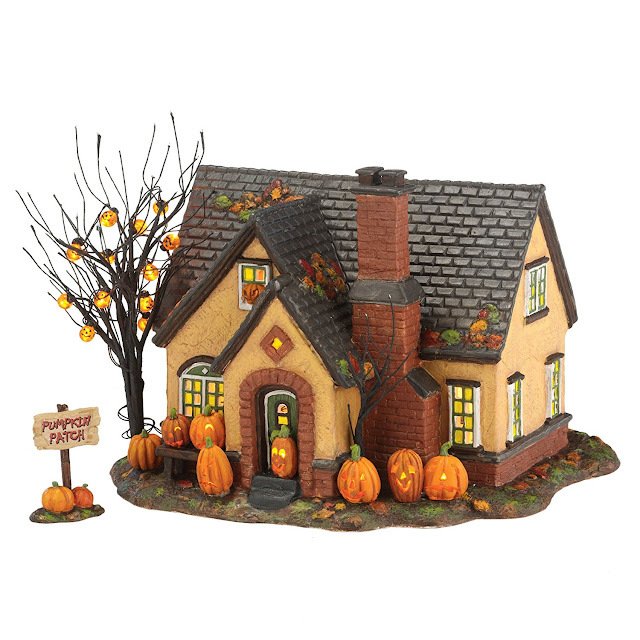 My very favorite miniature snow village Halloween house is this "The Pumpkin House." How I wish I could live in a house that looks like this! It's so cozy looking, with warm lights in the windows, grinning jack o'lanterns surrounding the front of the house, and a gaily lit autumn tree by the front door! All of these houses measure somewhere around six inches. They'd look so cute on your mantel, or perhaps arranged on your dining table (if you can figure out how to arrange the electrical cord so it doesn't show). They're ceramic, light up, and make your home more festive for our favorite holiday! You can also shop for these and other collectible buildings from the Department 56 Snow Village Halloween series on eBay.